Just want to say thanks to my wife and Get-Racing for the best 30th birthday present ever. Duncan and his team made the organisation of the event absolutely painless and the day itself was staggeringly good fun, thanks to his team’s combination of expertise and good humour (how many time can you pick a car off the floor in 2 hours?). 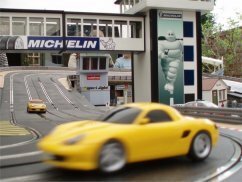 We all remember the Scalextric tracks that we had as children, but they were nothing compared with how impressive and fast the Get-Racing layout was. 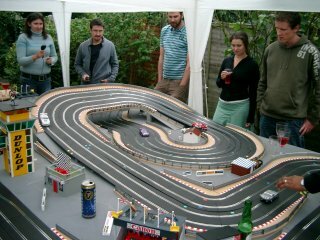 If you are considering doing anything else for a birthday party, cancel it and book yourselves with Get-Racing and recapture your forgotten youth. P.S I'm still bitter that I didn’t win.